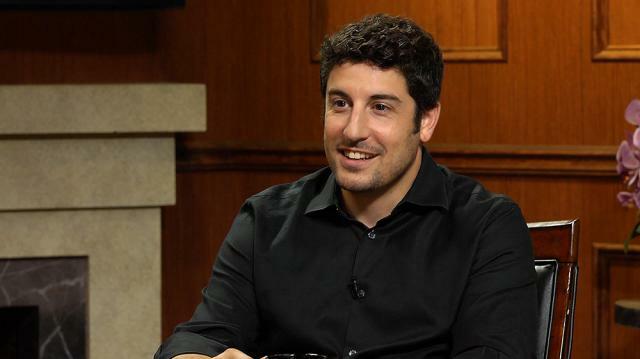 Jason Biggs, star of the new film ‘Amateur Night,’ plays a round of Larry King’s signature trivia game, 'If You Only Knew' The actor, known for the ‘American Pie’ franchise, surprises us with his answers regarding his guilty pleasure and secret talent. Biggs: Tap dance. I can still do a time step with the best of them. King: Is there a movie that made you want to be an actor? Biggs: Oh boy. You know, I've been doing it for so long, that there wasn't one that sort of said that's what makes me want to, I want to do this, but I'm a big Marx Brothers fan and those guys inspired my sort of comedy growing up, I would say. Biggs: Boy, the list is so long, it's more filmmakers, I guess, than anything. Biggs: Yeah, yeah, Wes Anderson. King: I figured that. Guilty pleasure? Biggs: "The Bachelor" and "The Bachelorette." Biggs: I sure do! And that's why I'm guilty about it, geez, 'causeof that reaction. you value most in others? King: What makes you laugh every time? reading about Henny Youngman,did you ever interview him? King: Oh I knew Henny well. Of course, I've interviewed 60,000 people. Biggs: I know, Imean of course. King: Henny, his act made no sense, he would go on a little violin. funniest man who ever lived. I have to but you? King! Here King come here! that said take ten, expect five, you get three. Or you ask for ten, expect five, you get three. And I remember I’m 12 years old going, ok so I gotta lower my expectations, all right fair enough, I get it. King: Something we should be paying more attention to? Biggs: Oh boy, that's a great question. I don't know what do you think we should be paying more attention to? Pure deflection right there, it's an old tactic. It's an old interview tactic Larry, don't worry about it. King: What's wrong with the world, anyway. What do people get wrong about Hollywood? Biggs: The people. People are always complaining about the people. You know like all the people in Hollywood.I have some of the best friends and family. King: I think it's a great town. Biggs: It's a great town. I think it's a great town. King: What's something people don't know about you. Biggs: That I'll obsess, I have an obsessive personality. King: So you'llobsess over what? Biggs: Anything, could be after this interview I'll leave and I'll say what did I say, did I have some good ones? Did I maybe upset Larry? Biggs: Oh yeah, constantly questioning myself.